Craig Lewin is a USA Swimming Coach and an ASCA Level 2 Coach with over 10 years of swim coaching experience. He is a graduate of Boston College with degrees in Economics and Sociology, a graduate of Salem State College with a BS in Sport Movement Science and a graduate of Northeastern University with an MS in Clinical Exercise Physiology. Craig was a 4 year varsity letterman for the Division 1 Men's Swimming & Diving team at Boston College. He has competed in triathlon at a high level and qualified for the Ironman 70.3 World Championships in 2008. Craig has done several marathon swims, including the Boston Light Swim, Swim Across the Sound 25km and the 25km swim at USA Nationals in 2005 & 2006. 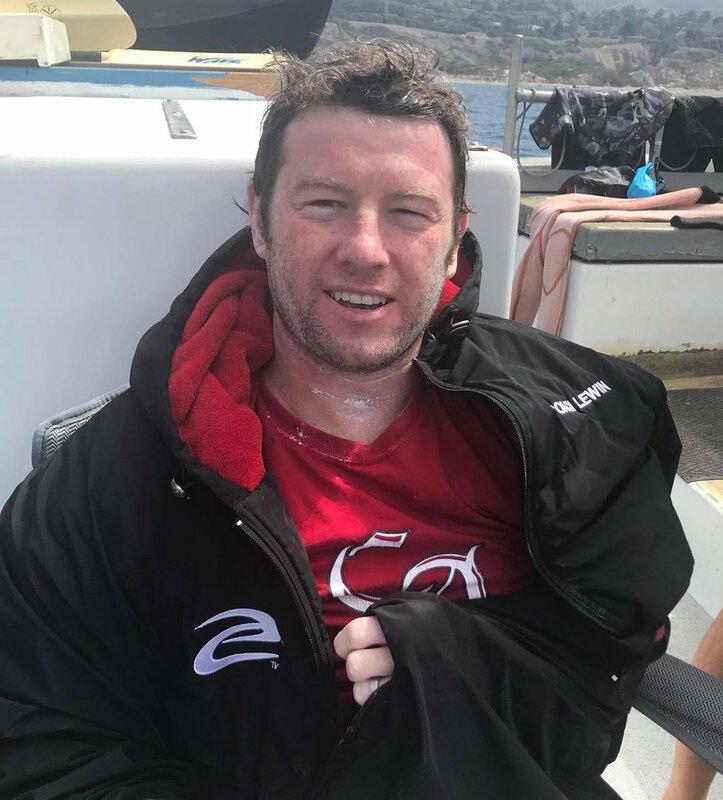 He was a support swimmer for two separate English Channel swim attempts and recently completed his own solo swim across the Catalina Channel in 2018. With his extensive experience competing at all levels of swimming and triathlon and his education, Craig brings a unique perspective to the program and is able to impart this knowledge to better team members. Will Waltrip fell into the sport of triathlon via family just before summer of 2015. At that time, without an athletic background, Will was introduced to Craig Lewin who taught him swim technique fundamentals and how to navigate swimming in the open water. Working through Endurance Swimming’s program, Will subsequently completed a sprint, Olympic and two 70.3 races before the end of that summer. Since then, Will has placed in various age group and overall podiums at local triathlons, and regularly competes in open water swimming events around New England. Will is a USA Swimming Coach and is a nationally ranked triathlete. You will often find him training on the roads, trails, and in the open waters across the North Shore as he focuses on competing in middle distance triathlons. Jamie Cotter is a graduate of The George Washington University with a degree in Exercise Science, Certified Fitness Trainer with ISSA, certified Running Coach in the Road Runners Club of America (RRCA), and a 200- Hour Registered Yoga Teacher (RYT). She is an avid marathon runner, and has qualified for the Boston Marathon six times. Jamie’s education and athletic experience have taught her the importance of incorporating resistance training into her workout plan. She is passionate about helping you incorporate this type of training into your routine, and can assist by creating a customized resistance training program to improve strength, reduce risk of injury, enhance overall performance, and ultimately help you meet your athletic goals.